A Crandall, Ga., man is facing multiple charges after a high-speed chase on Wednesday that ended in a crash that involved four vehicles of the Bradley County Sheriff's Office. 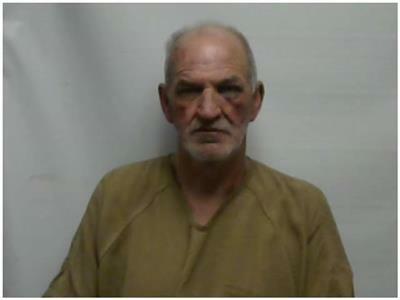 Randall Wade Cooper, 58, was booked into the Bradley County Jail, after the chase that ended in Bradley County. His charges are four counts of aggravated assault, evading arrest, resisting arrest, driving on a suspended license, misuse of registration and failure to maintain a no passing zone. He was also charged with theft over $1,000 involving a stolen Dodge truck he was driving. The crashes with the sheriff vehicles involved two separate wrecks.